Zircon grains were separated from lunar regolith and rocks returned from four Apollo landing sites, and analyzed in situ by secondary ion mass spectrometry. Many regolith zircons preserve magmatic δ18O and trace element compositions and, although out of petrologic context, represent a relatively unexplored resource for study of the Moon and possibly other bodies in the solar system. 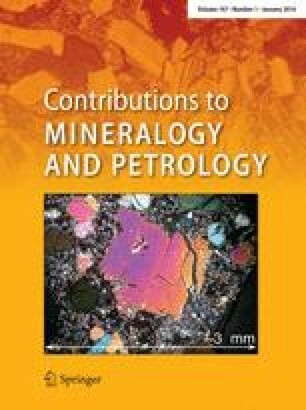 The combination of oxygen isotope ratios and [Ti] provides a unique geochemical signature that identifies zircons from the Moon. The oxygen isotope ratios of lunar zircons are remarkably constant and unexpectedly higher in δ18O (5.61 ± 0.07 ‰ VSMOW) than zircons from Earth’s oceanic crust (5.20 ± 0.03 ‰) even though mare basalt whole-rock samples are nearly the same in δ18O as oceanic basalts on Earth (~5.6 ‰). Thus, the average fractionation of oxygen isotopes between primitive basalt and zircon is smaller on the Moon [Δ18O(WR-Zrc) = 0.08 ± 0.09 ‰] than on Earth (0.37 ± 0.04 ‰). The smaller fractionations on the Moon suggest higher temperatures of zircon crystallization in lunar magmas and are consistent with higher [Ti] in lunar zircons. Phase equilibria estimates also indicate high temperatures for lunar magmas, but not specifically for evolved zircon-forming melts. If the solidus temperature of a given magma is a function of its water content, then so is the crystallization temperature of any zircon forming in that melt. The systematic nature of O and Ti data for lunar zircons suggests a model based on the following observations. Many of the analyzed lunar zircons are likely from K, rare earth elements, P (KREEP)-Zr-rich magmas. Zircon does not saturate in normal mafic magmas; igneous zircons in mafic rocks are typically late and formed in the last most evolved portion of melts. Even if initial bulk water content is moderately low, the late zircon-forming melt can concentrate water locally. In general, water lowers crystallization temperatures, in which case late igneous zircon can form at significantly lower temperatures than the solidus inferred for a bulk-rock composition. Although lunar basalts could readily lose H2 to space during eruption, lowering water fugacity; the morphology, large size, and presence in plutonic rocks suggest that many zircons crystallized at depths that retarded degassing. In this case, the crystallization temperatures of zircons are a sensitive monitor of the water content of the parental magma as well as the evolved zircon-forming melt. If the smaller Δ18O(zircon–mare basalt) values reported here are characteristic of the Moon, then that would suggest that even highly evolved zircon-forming magmas on the Moon crystallized at higher temperature than similar magmas on Earth and that magmas, though not necessarily water-free, were generally drier on the Moon. The online version of this article (doi: 10.1007/s00410-013-0956-4) contains supplementary material, which is available to authorized users. Noriko Kita, Kouki Kitajima, John Fournelle, Brian Hess, and Jim Kern assisted with SIMS and SEM analysis, and sample preparation. Mary Diman drafted figures. We thank Brian Beard, Aaron Cavosie, Craig Grimes, Noriko Kita, Larry Taylor, Marc Norman, Trevor Ireland, and Allan Treiman for helpful conversations. This study was funded by NASA (NNH07ZDA001N-LASER). WiscSIMS is partially supported by the US National Science Foundation (NSF-EAR1053466).